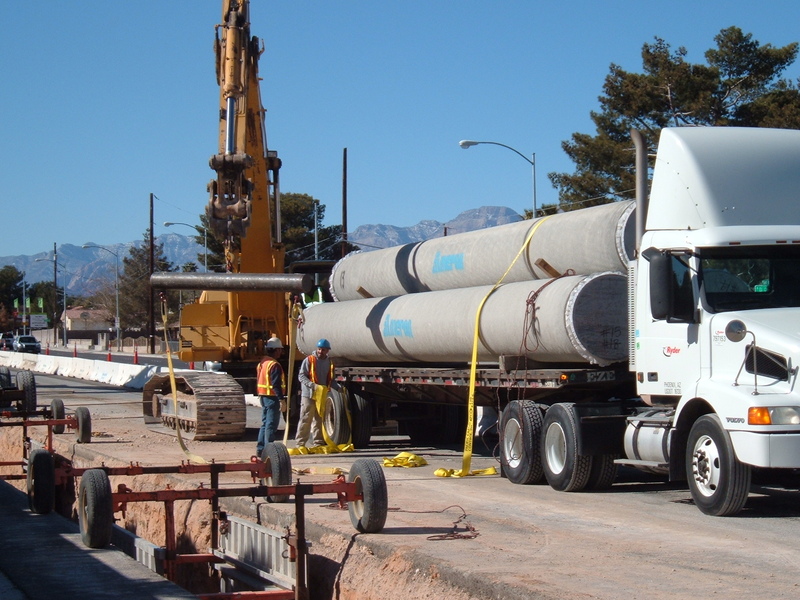 LVVWD crews install new pipeline. Between 1980 and 1998, Clark County was among the fastest-growing communities in the nation, which necessitated the Las Vegas Valley Water District focus on developing new facilities and infrastructure to meet the needs of a growing population. In late 2007, these conditions changed significantly when much of the nation began to experience significant economic disruption. Local expansion efforts halted and many projects in progress were put on hold. The Water District’s focus shifted from system expansion to asset management, with an increased emphasis on customer care for the 1.4 million residents in our service areas. All functions in support of this mission—from maintaining infrastructure to ensuring accurate metering and protecting water quality— require properly functioning and reliable physical assets. One of LVVWD's 53 pumping stations. A substantial percentage of the Water District’s water system was constructed in the 1980s to address increasing demands. As a result, numerous facilities now exceed 30 years of age. Research has demonstrated that replacing or repairing utility components under emergency conditions is both more expensive and disruptive to customers than affecting maintenance through a systematic approach. Cumulative costs associated with the repair and/or replacement of these hundreds of thousands of components—measures necessary to maintain current service levels, system reliability and water quality—are projected to be approximately $390 million over the next decade. 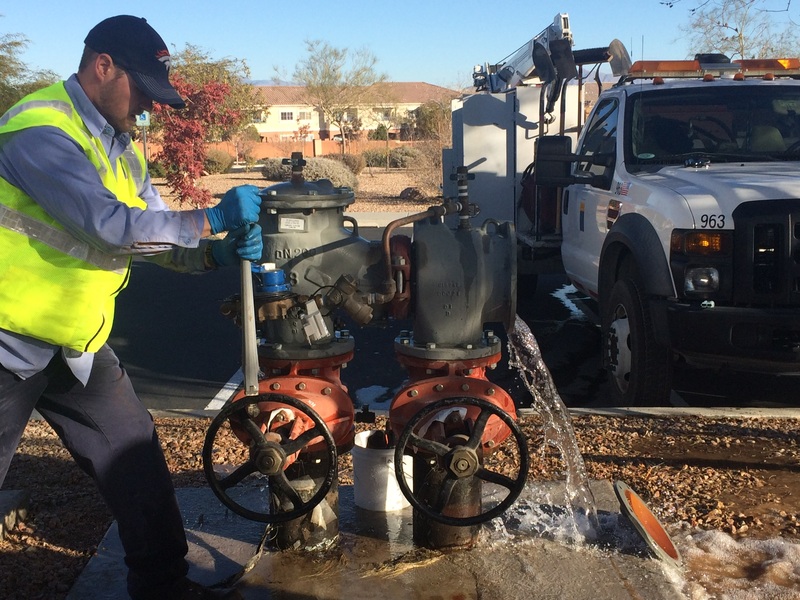 LVVWD crews repair a backflow device. The Las Vegas Valley Water District is responsible for ensuring that municipal water supplies meet strict state and federal health standards. To accomplish this, the agency collects more than 33,000 water samples a year and analyzes them for more than 100 regulated and unregulated contaminants. 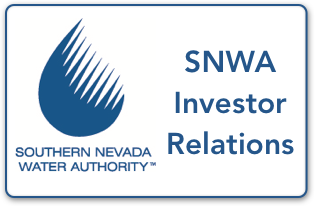 Water quality regulations are enforced by the Environmental Protection Agency and the Nevada Division of Environmental Protection’s Bureau of Safe Drinking Water. Chief among these mandates is what is termed “backflow protection,” a mechanism that prevents the reintroduction of water from private properties into the municipal water system. Compliance with this state requirement will require the installation of approximately 35,000 backflow prevention devices on meters throughout the Water District’s service area. To accomplish this, the Water District has prioritized backflow installations based on their degree of risk to the system and has begun systematically retrofitting properties that require backflow protection. The backflow prevention program is expected to cost $100 million during the ten-year Capital Improvements Plan timeline. During the recession, the Water District deferred all nonessential construction projects. This required engineers to devise solutions that could provide access to the municipal water supply for residents and businesses in newly developed areas without investing in additional reservoirs and pumping stations. While those solutions have proved effective, the absence of core infrastructure in affected areas undermines system reliability and subjects customers to vulnerability that is inconsistent with Water District standards. 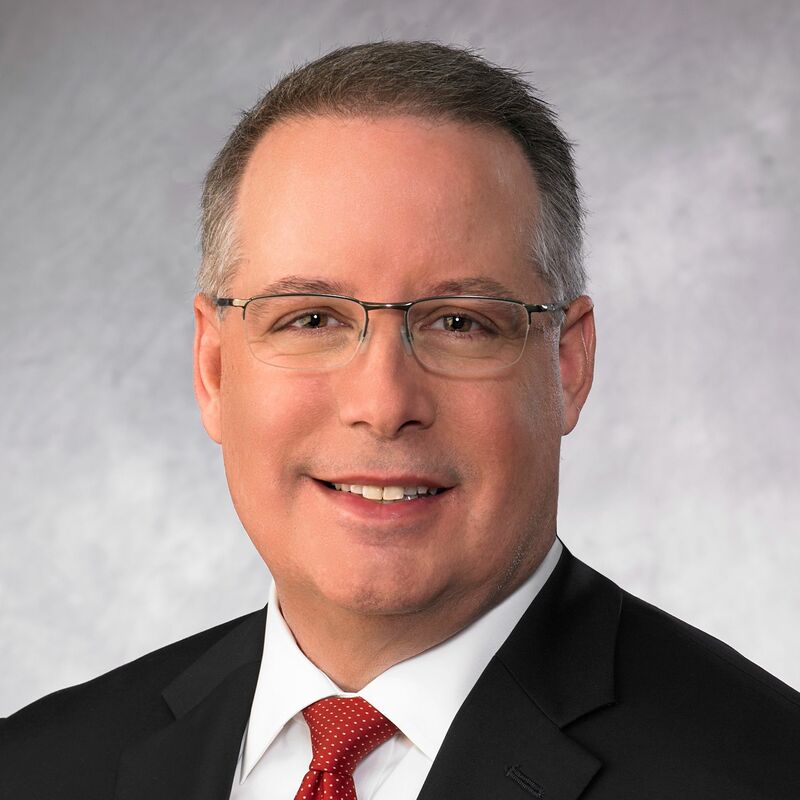 To address this issue and ensure these customers receive the same level of reliability as residents in other parts of the valley, the Water District plans to construct a total of four reservoirs and four pumping stations. New facilities planned for construction in the Northwest area of the Las Vegas Valley include the development of two new water storage reservoirs— one with a capacity of 10 million gallons, the other with a capacity of 5 million gallons—along with two pumping stations. These new facilities will address the strain on existing infrastructure and to reduce residents’ vulnerability to service interruptions associated with scheduled or emergency outages. New facilities planned for construction include a 10 million-gallon water storage reservoir and a pumping station. 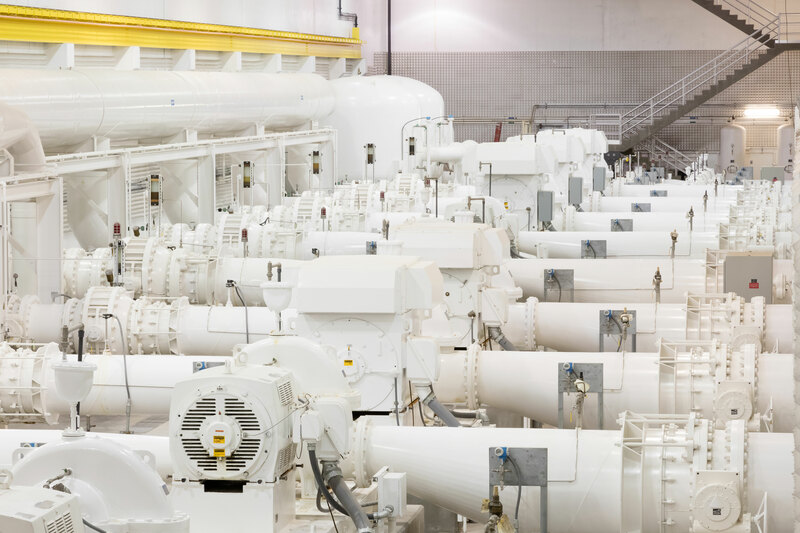 In addition to providing an emergency water supply near customers, the proposed reservoir will alleviate pressure variability issues associated with the current engineering configuration. This benefits existing customers not only in terms of reliability, but in service quality as well. New facilities planned for construction in this service area include the development of a 10-million-gallon water storage reservoir and a pumping station. 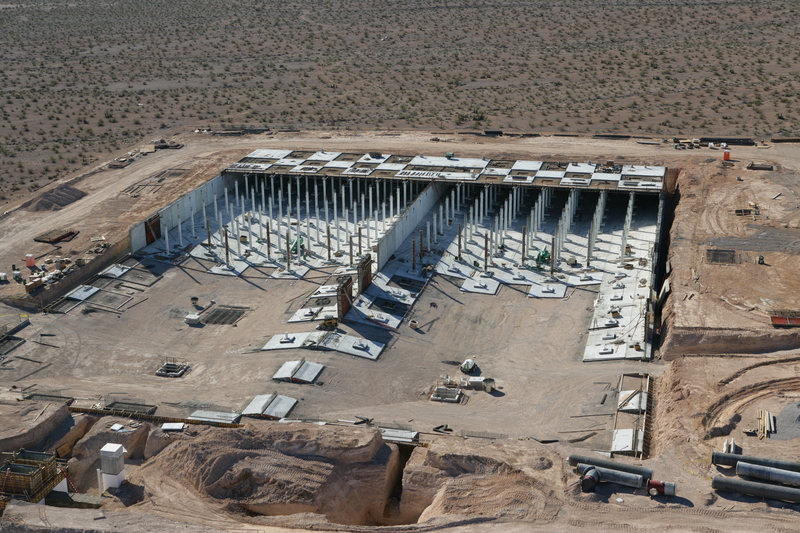 Constructing this reservoir will reduce vulnerability and enhance overall system reliability. It also will provide additional capacity and emergency storage for any additional residential or commercial expansion that may occur in the area.